If you're about to hit the market for an R/F room, you've got several big decisions ahead of you. Before you make any of those decisions, however, one of the first questions you'll need to answer is how much the system that best fits your needs is likely to cost. To help you know what you should expect from the current refurbished equipment market, we've pulled together average pricing numbers for some of the top R/F room models. 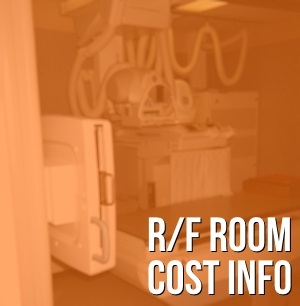 If you have more questions about RF room equipment or pricing, we'd love to help! Use the buttons below to request pricing or access our free R/F Buyer's Guide and learn more details. Tim Richard is the R/F Product Specialist for Block Imaging. His goal is to build a firm understanding of the challenges each client faces in order to find them the very best fit for their equipment needs. Out of the office, Tim is an avid sports fan, especially baseball (Go Sox! ), which he plays competitively, and father to one son who he hopes to get in the dugout ASAP.